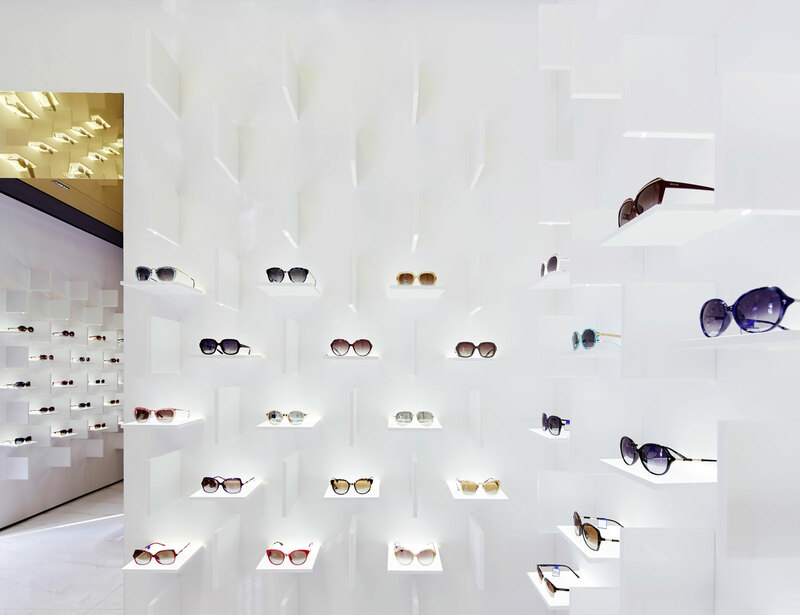 Bolon is one of the world’s largest spectacles manufacturers and China’s best-known premium lifestyle sunglasses brand. 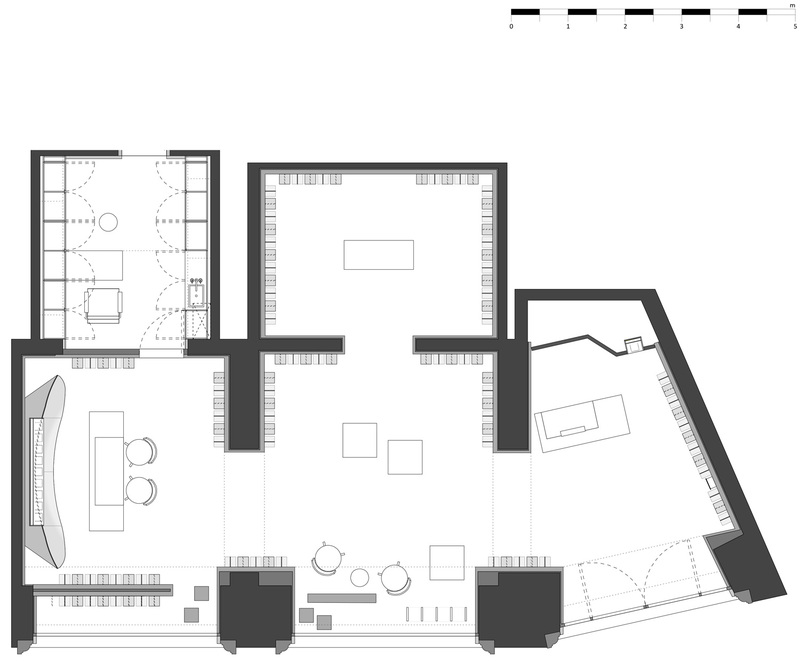 The new store design by Ippolito Fleitz offers a clear spatial interpretation of this attitude. 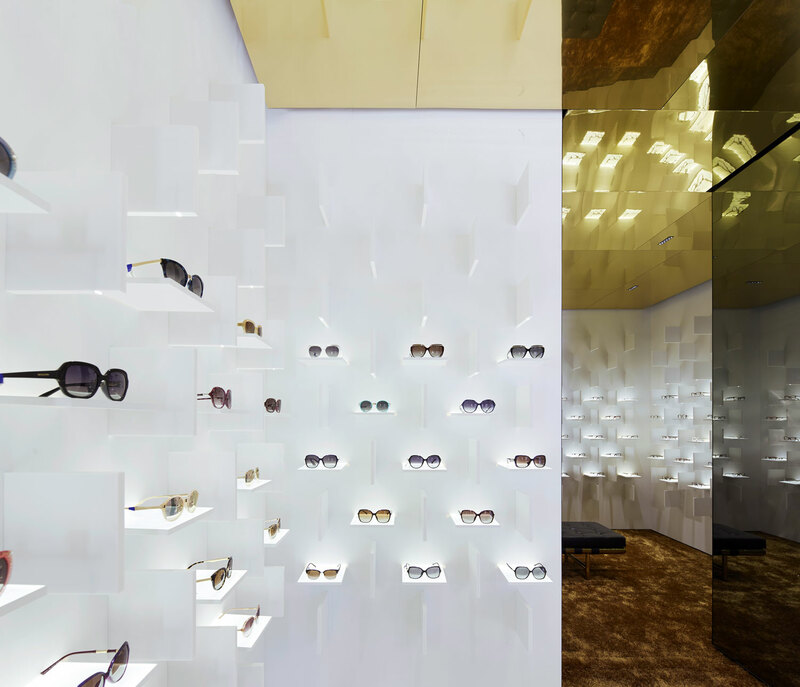 Unique spatial elements that retell a narrative, such as iconographic shelves and a polished gold ceiling, vividly illustrate the brand’s realigned public image as a self-confident market leader. The design centres around a clear, iconographic and instantly recognisable product presentation. 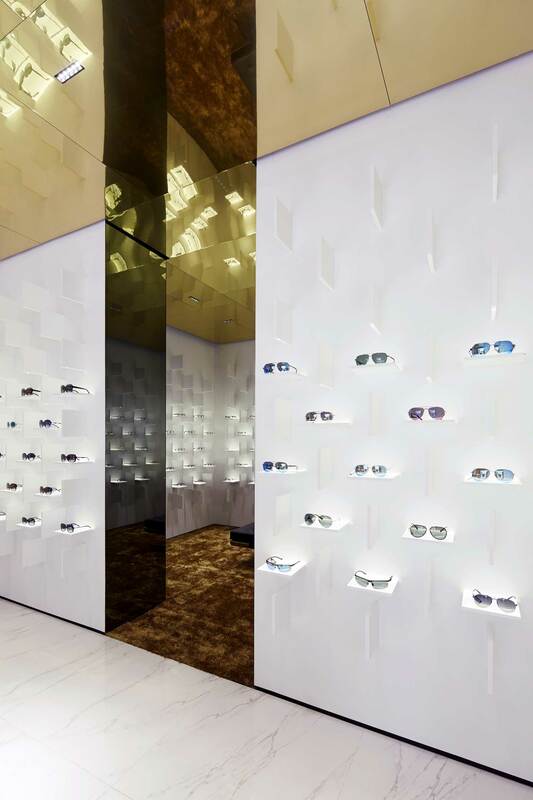 White square panels, set at right angles to each other, create a strict, three-dimensional grid on the presentation walls. 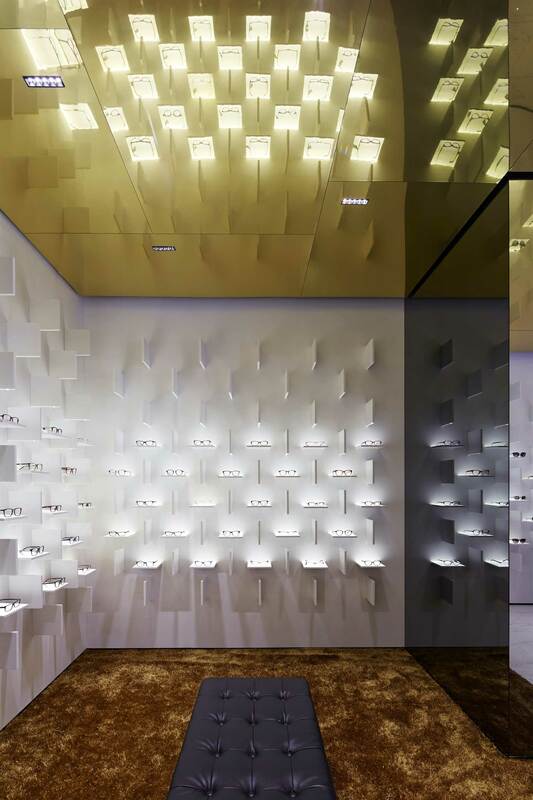 Each pair of glasses sits on its own mini stage. 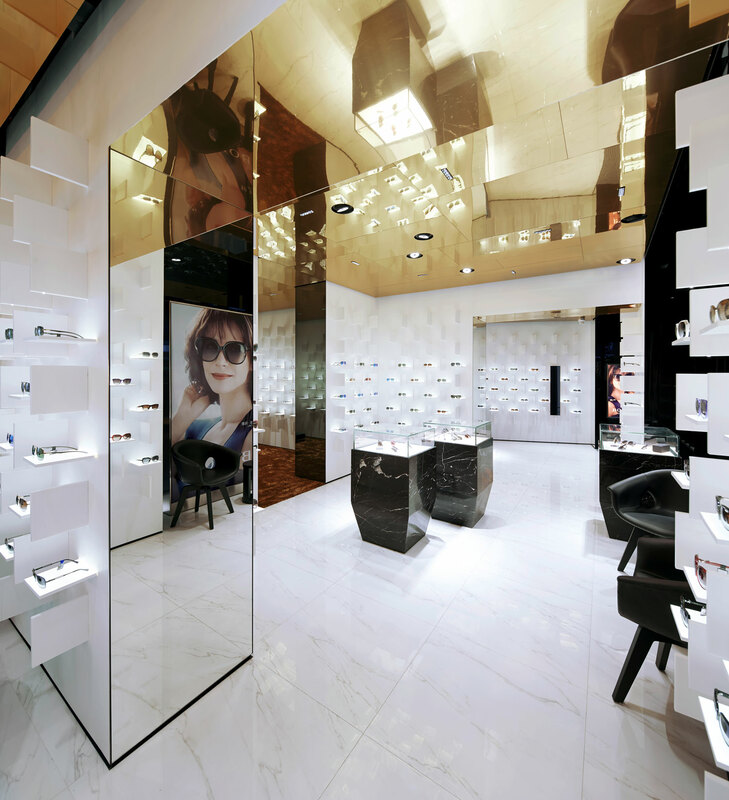 The impression made by the product is further enhanced through a skilled use of directed lighting. 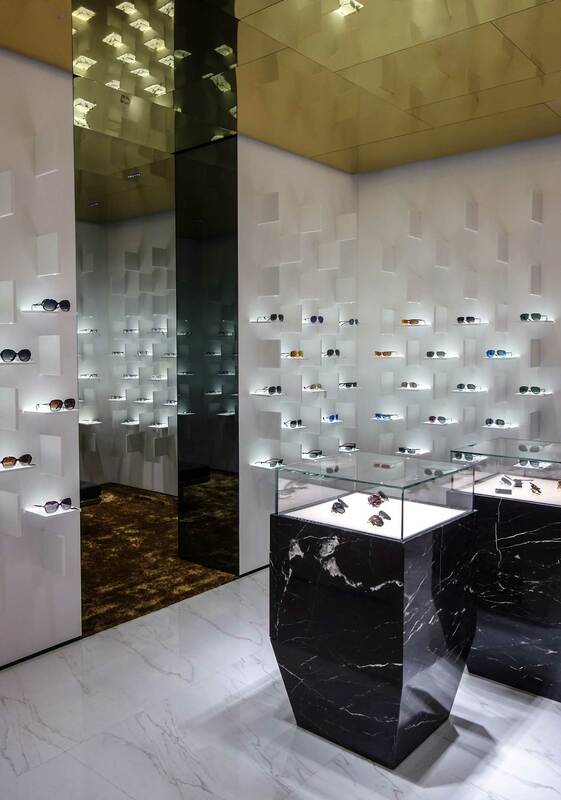 Each pair of glasses is set against an illuminated background, thus highlighting the colour of the lenses. 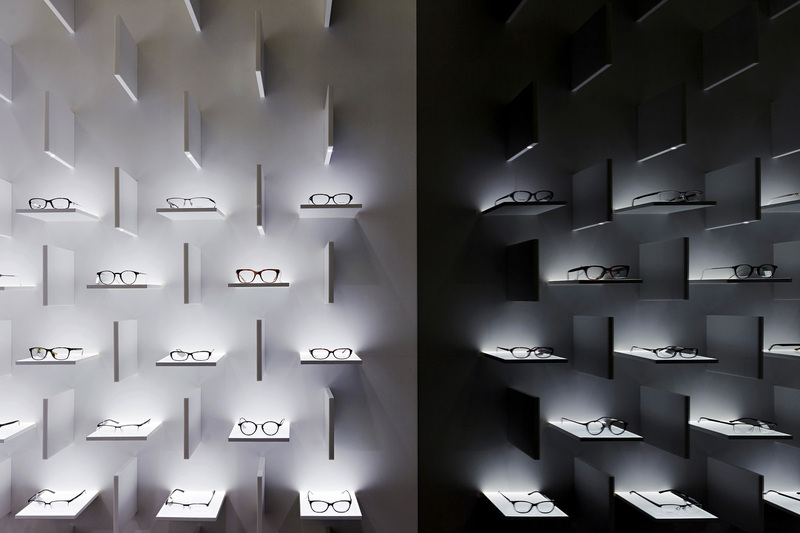 At the same time, a targeted LED spotlight is directed at the product from the vertical panel suspended immediately above it, giving it a subtle aural emphasis. 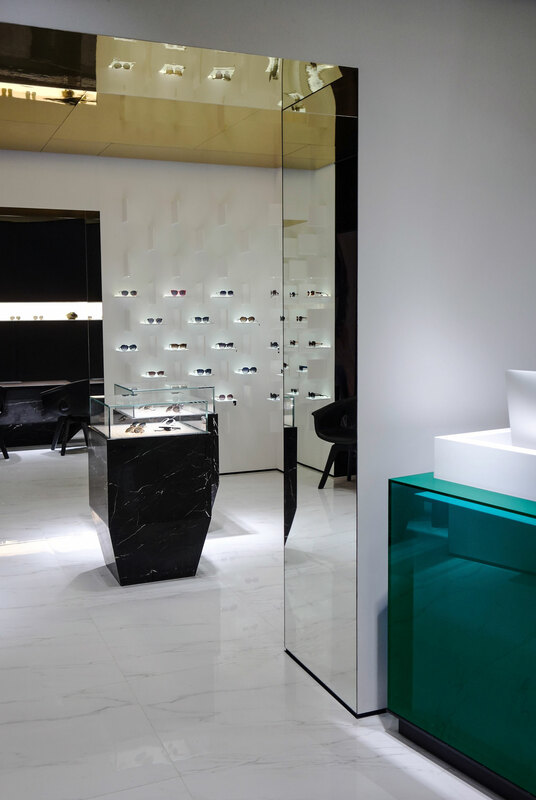 The shop space is characterised by the use of high-quality materials such as a white marble floor and black marble used for the presentation cases and service desk. 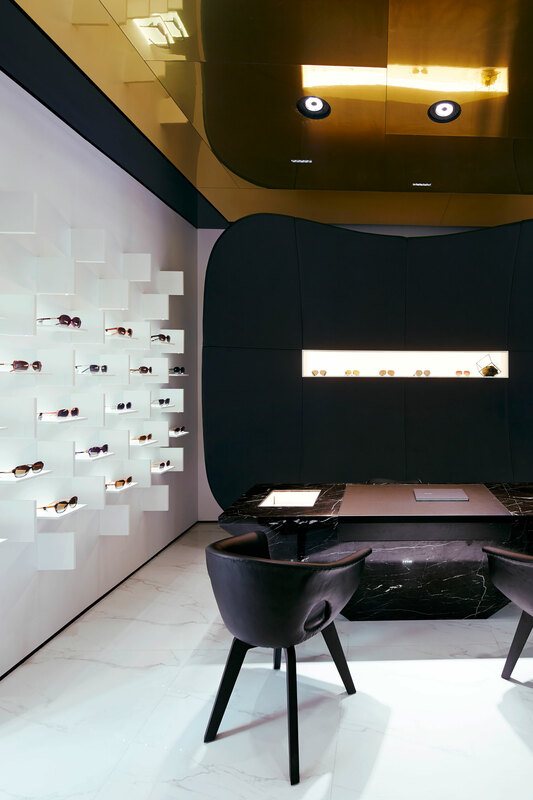 A leather-covered expanse of wall provides an additional focal point within the space, as well as creating a warm setting for in-depth consultations. Rope Installation and Incredible Pop-up Restaurant at Circolo Marras in Milan.